Pernod Ricard India expands its wine portfolio with the launch of the award winning New Zealand wine from Brancott Estate in Marlborough. Brancott Estate will be available in two variants: the fruity and fresh Sauvignon Blanc and the refined and well-balanced Pinot Noir. Loyal to its vision, Pernod Ricard is reinventing conviviality, thanks to its vast brand portfolio. 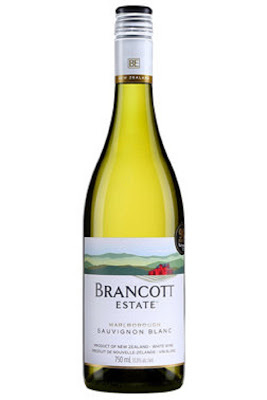 Pernod Ricard, with Brancott Estate, was among the first to blend a Sauvignon Blanc in Marlborough, which has won a worldwide recognition. Recently, the 2018 New York International Wine Competition awarded Brancott Estate as the best NZ winery of the year. This was followed by Sonal Holland, Indian Master of Wine, who rewarded the winery during The Indian Wine Awards (90+ score). From adopting screwcaps to advocating for stainless steel over oak, Brancott Estate understands what it takes to capture and enhance the fresh and bright flavours from Marlborough. The wines will be available across 5 Star Hotels, premium restaurants & liquor stores in Metros and Mini Metros at a retail price of 3,300 INR (Karnataka), 2,000 INR (Delhi NCR) and 2,500 INR (Maharashtra).